A missing elderly couple from Elmont, NY has been found, according to Nassau Police. 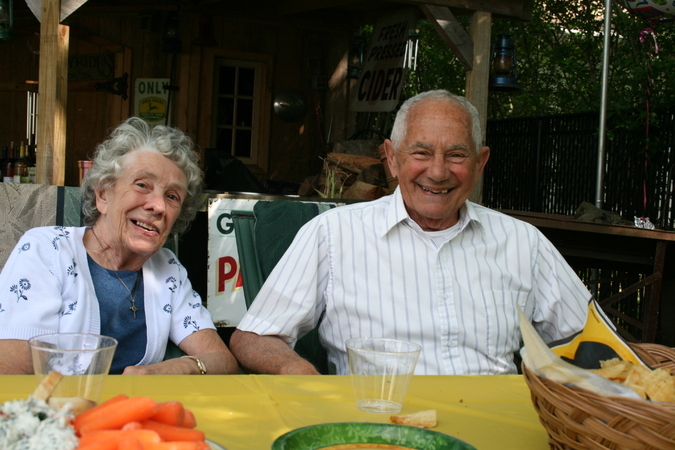 Cops say 77-year-old Barbara Pagliaro and her 88-year-old husband Joseph were located Friday night in Haines Falls, NY. That’s about 130 miles from where the couple was last seen leaving a doctor’s apointment Thursday afternoon in Valley Stream. It’s unclear what led the Pagliaro’s to Haines Falls. He’s 14 feet tall, made of bronze (which always has been one of my favorite metals), and his name is Untitled (Red Man). It’s by Thomas Houseago and it’s currently on display in City Hall Park in New York City. You can have someone take a picture while you hold his hand like I did today! My favorite part is how his eyes don’t line up. It makes him seem not threatening at all despite his height and weight. The world map in my bedroom is falling off of the wall. It’s attached with a few looped pieces of masking tape. One corner keeps coming off, and I keep pressing it back to the wall, thinking maybe this time it’ll stick. Last night on the train, I couldn’t stop singing. “American Pie” was stuck in my head. A man on one side of me was working on a Sudoku puzzle, and the man on the other side of me was reading a manual on installing solar panels. If they listened hard enough they would have heard: February made me shiver, with every paper I’d deliver. Bad news on the doorstep. I couldn’t take one more step. When I opened the door at home, I made an aggravated guttural noise. The kitchen smelled from the trash that my roommate had accumulated while I’d been out of town. And rice he’d left in the cooker had already been growing a black, fluffy mold when I left. It was still there and now looked all the more like a small animal. My roommate heard me in the hallway and came out, asking me to unplug the router that was in my room and plug it back in after a few minutes. I was on my way to the bathroom. He said he could just go do it. I said no. I’d do it. We sat in the coffee shop, the man I love and I, and I was quiet. I was watching pedestrians on the sidewalk and thinking about the oil spill. After a few moments, he said, “Did they cap the oil leak?” And I said, “Partly, I think.” At the time I thought it was neat that we’d been on the same wave length. But now it doesn’t seem neat or strange. Or evidence of some strong psychic connection. If I’d been thinking about kaleidoscopes, or monkeys, and he suddenly asked about kaleidoscopes or monkeys–that would be neat and strange and evidence of some strong psychic connection. But even before he asked, it’d occurred to me that it felt strange that we were there eating eggs and sipping coffee and distractedly touching under the counter and weren’t discussing it. From my desk I can see the Gulf of Mexico on the map. I can’t see China or Russia or any countries in Africa north of Zambia–that side is unattached and hanging, folded over. If I don’t do anything the whole thing will probably come down altogether in the coming days. I’ll be laying in bed, in that state between awake and asleep, and I’ll hear it fall. I’ll realize it’s happened and be vaguely sad as I drift off.